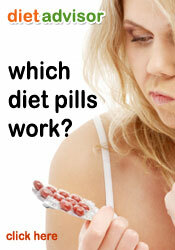 Diet pills, weight loss plans and scientifically engineered diets are more for the long term. But there are occasions where a quick fix is needed. This is exactly where Inch Loss Body Wraps come into play. Inch Loss Body Wraps – or just simply Slimming Wraps are ideal for when you need you need to drop a dress size quickly for that special event or occasion. Essentially a body wrap is a use at home method form shedding cellulite and giving the impression of a slimmer appearance albiet temporarily at first but with dramatic effect over a few months. Body wraps promise to tighten your skin, eliminate toxins, treat eczema, and even help you to lose you six inches after a single session. There are body wraps for the trunk or midriff and also body wraps for specific parts of the body, usually arms, thighs and necks. Pick up any diet, fitness or female oriented magazine and there will be featured exalting the effect of Inch Loss body wraps. The latest celebrities to be connected with the home user firming and toning treatments are Paula Abdul, Leeza Gibbons and Tim Daly. Although it could be argued that where not in any dire need of attention to begin with. Currently Evo Slimming have acquired the rights to distribute in the UK.